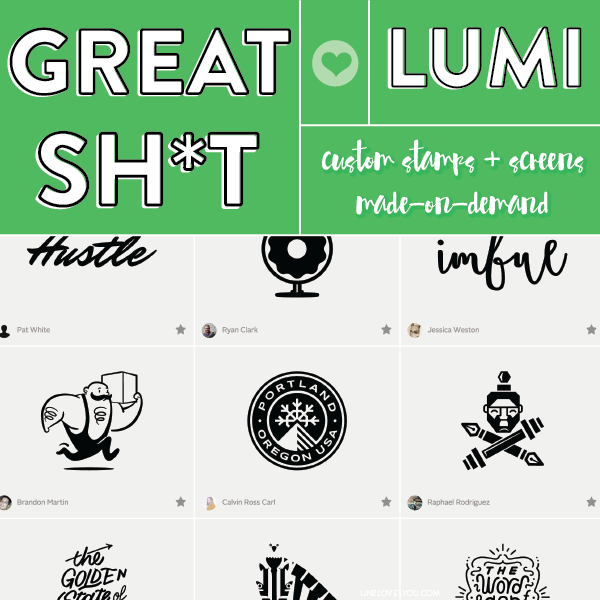 Stumbled across Lumi last night…it’s by the makers of those sundye diy kits (aw, nostalgia) and they create custom ink stamps, silkscreens, or vinyl decals on-demand, using your uploaded vector images. Can you say custom gifts, anyone?! Make all the things!